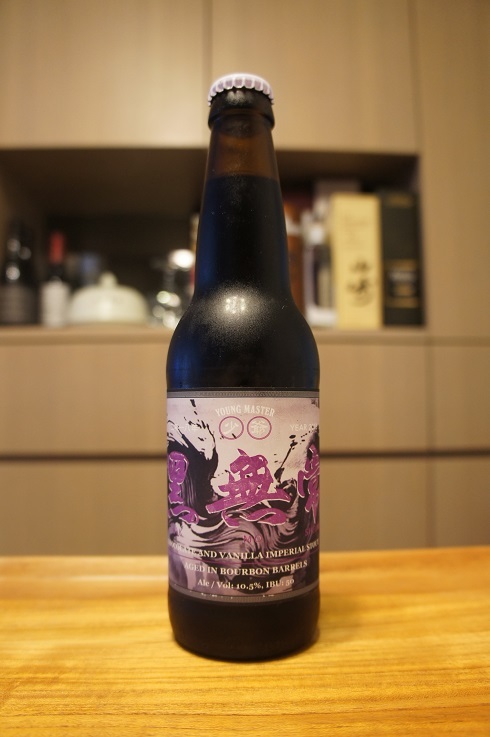 Brewer Description: (from bottle) Chocolate and vanilla Imperial Stout aged in bourbon barrels. Intro: A 330ml bottle, 2018 release with a best before date of 31st December 2022. Poured into a snifter glass. Appearance: Dark brown to black in colour with a thin mocha brown head that dissipated quickly but left some nice spotty lacing. Aroma: Roasted malts, strong dark chocolate, cocoa, bourbon with maybe a hint of dark fruit and vanilla. Taste: Roasty, rich chocolate, cocoa, bourbon, oak, a touch of vanilla and hints of caramel and toffee. Mouthfeel: Creamy, medium to full bodied with soft carbonation. 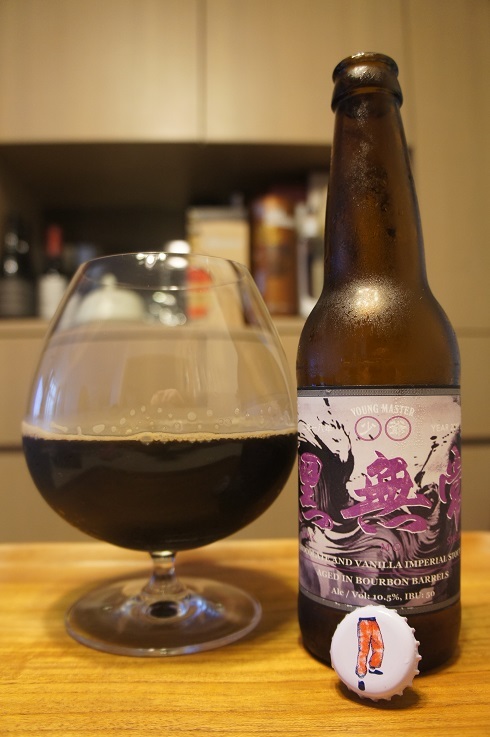 Overall: Nice aroma and flavours with chocolate and bourbon especially coming through strongly. Vanilla was a little light though, especially on the aroma where it was perhaps just simply overpowered by the chocolate. Body could also be even more fuller. I think I still prefer the Con Chile Ancho Y Panca just that little bit more, but this was still a good sipper. 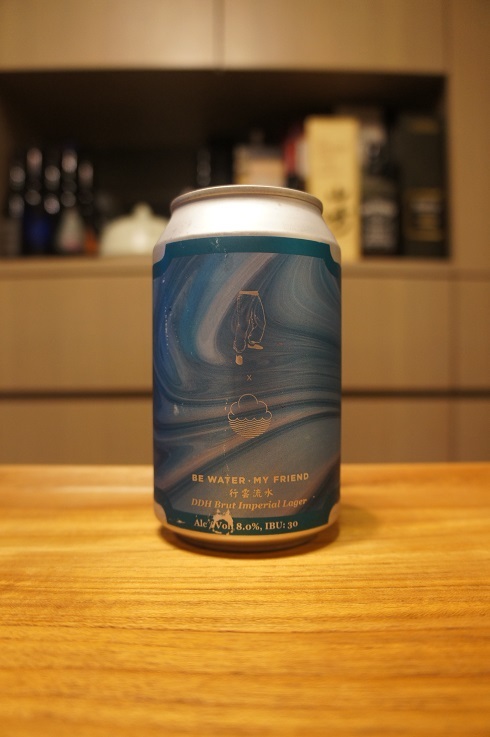 3 - Indifferent (buy if no other choice), American IPL, Beer Reviews, Hong Kong, Young Master Brewery x Cloudwater Brew Co.
Brewery: Young Master Brewery x Cloudwater Brew Co. 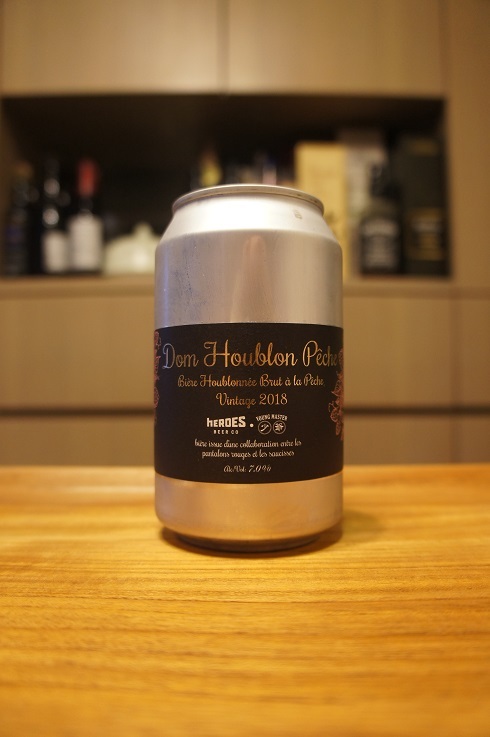 Brewer Description: (from YM webshop) A colossal beer that seamlessly transcends rigid style barriers in one fluid motion. 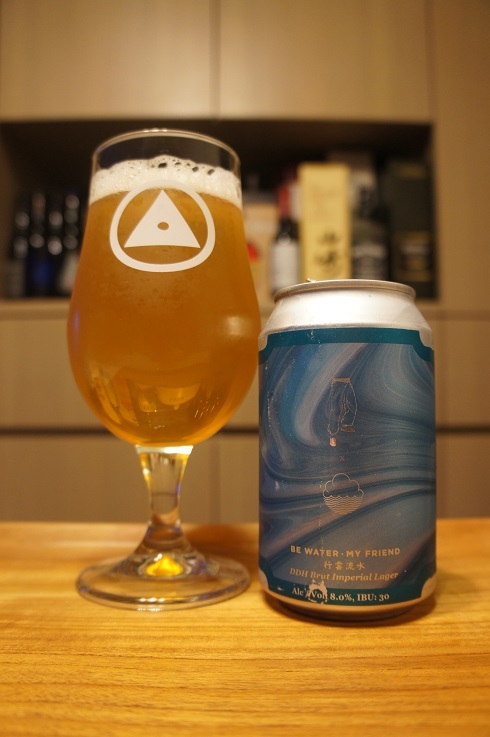 Brewed in collaboration with one of world’s best brewers, Cloudwater, it is an imperial lager that employs brut-style brewing techniques and combines it with double intensity (~40g/L pellet equivalent) cold side hopping with the highest quality hops we can find. With a measured finishing gravity of 0 plato and 100% apparent attenuation, using Bavarian lager yeast fermented cold, this beer is as dry and clean as it gets and has near zero residual sugar. Massive dry-hopping with a heady combination of Citra, Mosaic, Simcoe and Loral lupulin delivers a powerful tropical nose and a lush juicy mid-palate before a crisp and satisfying dry finish takes over and prepares you for the next sip. At 8%, it is sure to deliver a powerful kick that is as hoppy as it is stealthy. Drink it and be water, my friend. 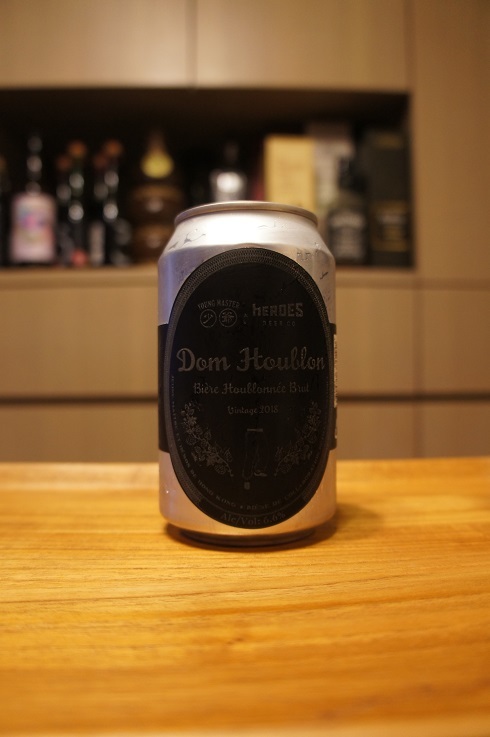 Intro: A 330ml can, canned on 8th January 2019, and with a best before date of 8th October 2019. Poured into a Holy Mountain tulip glass. Appearance: A nice clear golden colour with a one finger white head that dissipated fairly quickly and left only sparse to no lacing. Aroma: Mango, passionfruit, blueberry, citrus rind, pine, lemon and grass. Taste: Tropical and citrus mix, mango, passionfruit, blueberry, citrus rind, lemon zest, pine, biscuit malt and an interesting lightly bitter, pepper spice finish. Mouthfeel: Dry, light to medium bodied with moderate carbonation. Overall: Great aroma with balanced fruit and bitterness for an easy to drink hoppy lager. Intro: A 330ml 360 lid can, canned on 20th November 2018, and with a best before date of 20th August 2019. Poured into a Holy Mountain tulip glass. Appearance: A hazy golden orange colour with a two finger white head that dissipated fairly quickly but left some nice sticky lacing. Aroma: Peach, canned peach, a little plastic-y, with a dash of lime. Taste: Tart, peach, mandarin skin, wheat and a lime finish. Mouthfeel: Dry, light to medium bodied with moderate fizzy carbonation. Overall: I like the aroma, but the fruity peach flavours, while there, don’t last long, maybe it’s the strong dryness that kicks in. I preferred the original version more. 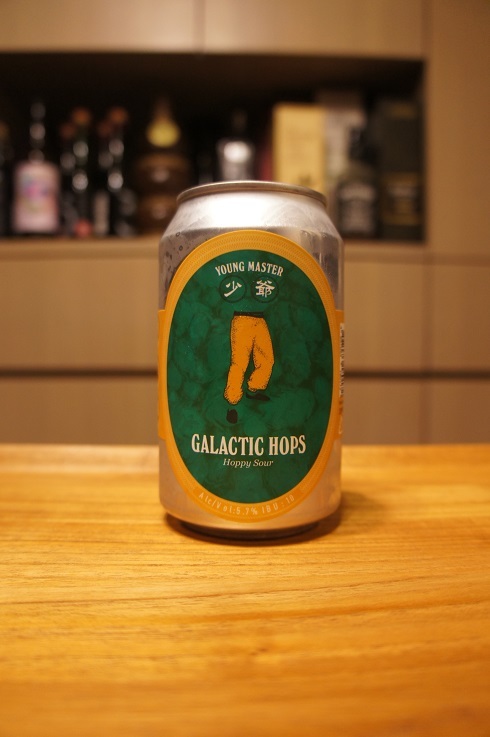 4 - Good (buy), American Brut IPA, Beer Reviews, Hong Kong, Young Master Brewery x Heroes Beer Co.
Brewery: Young Master Brewery x Heroes Beer Co. 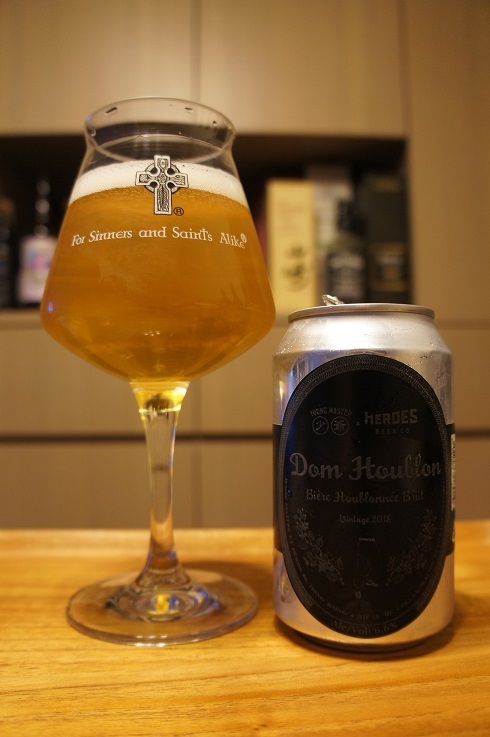 Brewer Description: (From YM webshop) Dom Houblon is a one-of-a-kind collaboration between Young Master and Heroes Beer Co., two of the highest rated craft breweries in Hong Kong. It is an extra-dry Brut IPA that has a finishing gravity of under 1 plato (under 10g/L of residual sugar). With minimal bitterness and a heavy dry hop featuring Loral, Mosaic and Ekuanot hops, the brew is dry, lemony, fruity and thirst-quenching. Intro: A 330ml can with a best before date of 11th May 2019. Poured into a Lost Abbey teku glass. Appearance: A mostly clear golden colour with a one finger white head that had decent retention but left only sparse lacing. Aroma: Strong melon and citrusy pith, light grain, biscuit and a sweet cantaloupe-y finish. Taste: Sweet malts, light bitterness, lots of melon, grapefruit, lemon zest, a touch grainy, grass and a long melon finish. Mouthfeel: Dry, crisp, light bodied with moderate to high carbonation. Overall: Started off pretty good already, but it definitely grew on me the more I drank it as the melon and citrus really came through. Brewer Description: (from can) Hoppy sour. Intro: A 330ml can with a best before date of 7th April 2019. Poured into a Lost Abbey teku glass. Aroma: Light tartness, passionfruit, lightly floral, biscuit malt with hints of lemon. Taste: Sour, tart, passionfruit, biscuit, grainy, lemon and a touch tangy. Mouthfeel: A bit watery, light bodied with moderate carbonation. 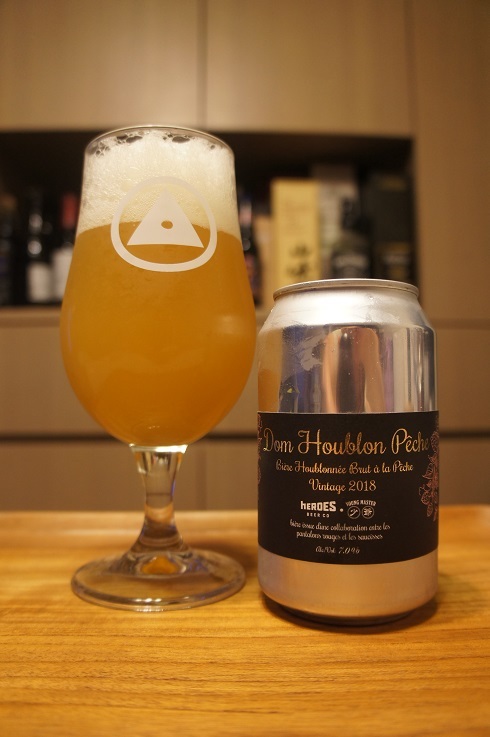 Overall: Nice tart passionfruit aromas, but despite some nice sour and passionfruit flavours coming through, it was on the whole, a little watery on the palate, causing the flavours to be a little light, which I thought took away from it a bit.